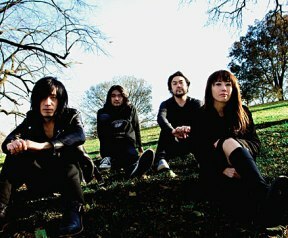 MONO has been around for more than one decade, not afraid of wandering around the world outside the Japanese borders to spread their unique musical style. They will be soon visiting Estonia, stopping in the city of Tartu. Taka, their lead guitar, kindly talked to FREE! Magazine about his view on music and the last experiences touring around the world. Thanks a lot for your attention guys! For a person who would have not had the chance to listen to your band before, how would you describe the musical style of MONO? The underlying energy in our songs is meant to be positive. The layers of heaviness and melancholy sounds on top are just the same things we endure in life to reach a higher place. We want our songs to mimic this balance of dark and light. As we grow older as a band, I think we want our songs to be more meditative. How did you get to know and started to play together in 1999? 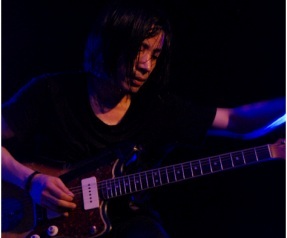 Takada and I became friends and we played a show together one time before forming Mono. I knew Yoda from the music store so he joined us shortly after. Then, a mutual friend introduced us to Tamaki because we needed a bassist. I’m lucky to have met each of them. It’s like fate because we all work well together and share the same vision. After more than 10 years as a band, is there anything different from the beginnings, or the basic spirit remains the same? We’ve grown tighter as a quartet and we are now more confident in taking risks in our music. Our basic spirit remains the same though. I have read in previous interviews that you always give a great importance to remain independent, and you are not so happy about how capitalism affects the music business. How do you see the situation with the current economical crisis? I’m not too familiar with the music business but it seems to me that most areas of mainstream entertainment are still doing well in most countries, especially Japan. The main thing that I enjoy about remaining independent is the freedom to create what we want to. The mainstream music business has a tendency to mold bands into what they view as marketable. It really depends on what kind of musician you are and what kind of musical career you are going after. 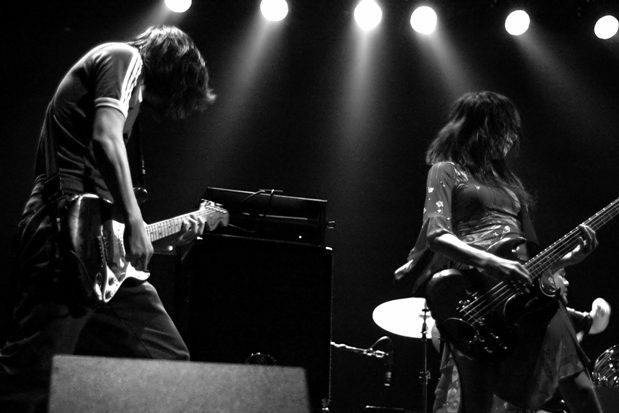 There have been several indie bands who have reached a wide audience with networking and touring. 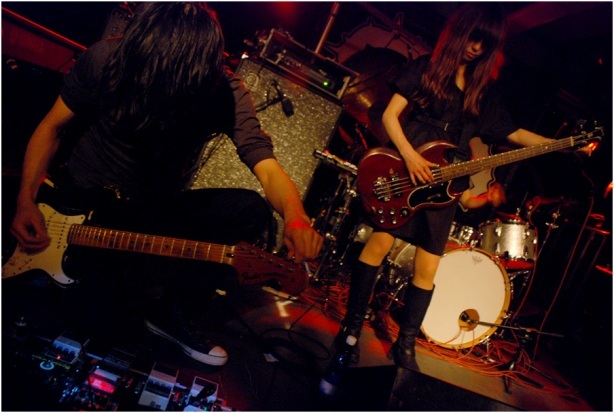 Many European and American bands affirm that their craziest audience is in Japan. For you, as a Japanese band with a broad experience touring abroad, how is the European audience? The European audiences have already been wonderful to us. They are always enthusiastic and kind to us whenever we visit. Some of our greatest memories are in Europe. It seems also that Japanese bands are getting more attention lately in North Europe than years ago, with other rock/metal bans like MUCC or D`Spairs Ray having a great legion of fans, for example in Finland. Have you noticed an increasing interest from Europe to Japanese music in the last years? Unfortunately, I have not been able to keep up with the music scene lately. You will be playing at the end of March in Estonia. I think you were here playing 2 years ago. What do you think of Estonia and Tartu? Did you have time to visit the city before? Yes, we have played before at the Plink Plonk festival. Tartu is a very special for me, especially because I am a huge fan of Arvo Pärt. I am excited to visit to there again. Plink Plonk club in Tartu is pretty small. Do you feel more comfortable playing in small clubs, or in bigger venues? Both of them have good things about them. Playing in a small setting is more intimate which is nice. But playing in a large venue or festival is also great because we can reach a wider number of people. The orchestration of your music could suit pretty well as soundtrack for movies. Have you received offers recently to participate in any movie soundtrack? Yes, we’ve receive a few offers. We love film and it is a field that we are looking into. You have always given a great importance to travelling around the world to promote your music. What is the best country or venue so far where you have stayed? Any place you would really love to visit, but never had a chance yet? Such a difficult question because each country is so different. We’ve found something positive about every place we’ve visited. What other hobbies and activities do you enjoy when you are not on stage or touring around the world? What will be the plans for MONO for the rest of 2010? We still have a long tour ahead of us and when that is over, we will start to create new material for the next album. Anything you want to add for the readers and fans? Thanks for reading and hope to see you in a city near you soon.